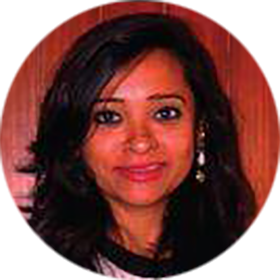 Maitreyee Das Banerjee is working in Mumbai with The Keys Hotels as Director, Marketing, previously headed Marketing for the Lifestyle magazines – Harper’s Bazaar, Cosmopolitan and Brides Today that belongs to The India Today Group in Delhi. An alumni of MICA, Maitreyee is a marketer with over 15 years’ experience in leading large media businesses with diverse brand portfolios across print dailies, television news – hindi and regional, political magazines, digital news platforms, lifestyle and luxury magazines. Currently leading brand strategy, innovation & communication strategy for Keys Hotels, she leads the digital and guest engagement strategy & creates experiences for the demanding & globally experienced business travellers. She has led marketing for leading media brands: Zee News, WION, Zee Hindustan, Zee UP UK, Zee 24 Ghanta, The Times of India, The Telegraph, Anandabazaar, Harper’s Bazaar, India Today.